OLD PARKED CARS. 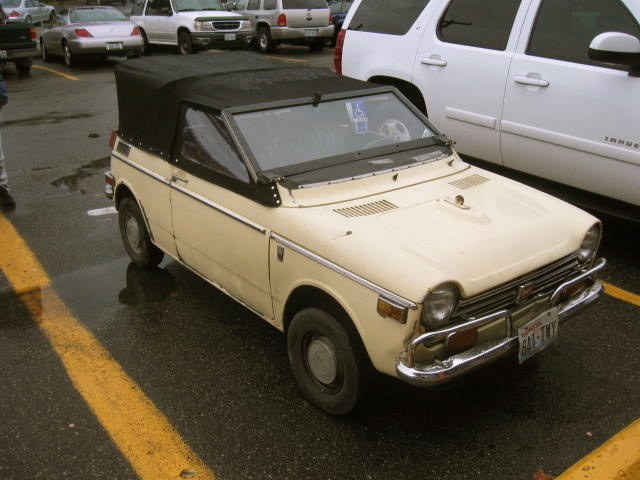 : Reader Submission: 1970 Honda N600 Custom Hatchback Convertible. Reader Submission: 1970 Honda N600 Custom Hatchback Convertible. 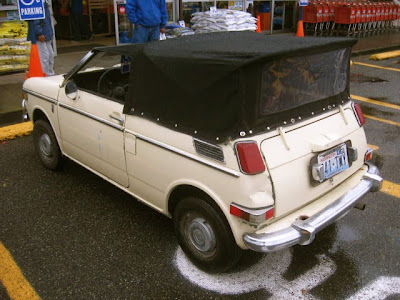 Regular contributor Mike from Boeing writes, "I never got to talk with the owner, but I'm thinking this car was rolled and he cut off the crunched roof and turned it into this nifty vert. The windscreen is hanged made to flip forward and lock into place on the hood - ala the army Jeep. 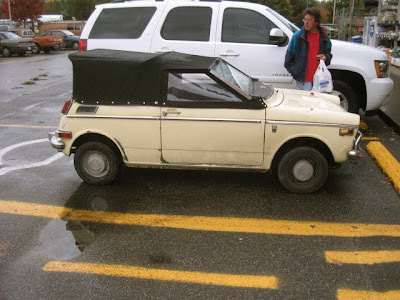 It's at such a steep rake that he may not need wipers." Unfortunate my gluteus maximus, this looks pretty sweet.